Nowadays there are so many shopping websites popping up online and sometimes it’s hard to verify if the website is a legitimate one that provides good service and products. That’s why ShopVenture came about to help online shoppers like you and I! 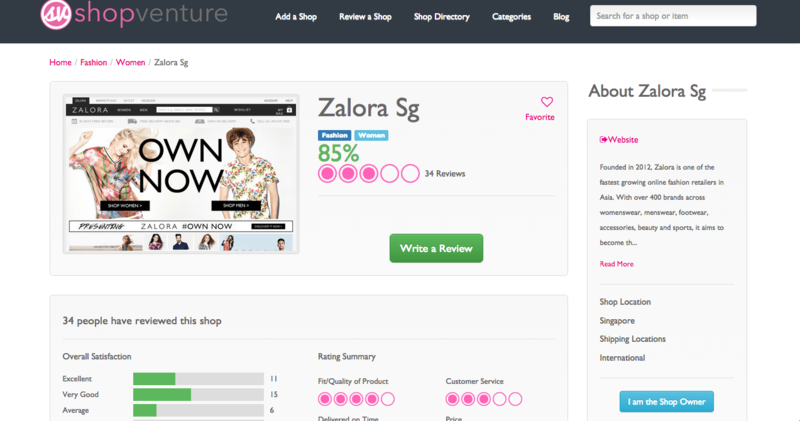 On ShopVenture, you can search for the shopping website you’re looking at to see user reviews of the website. 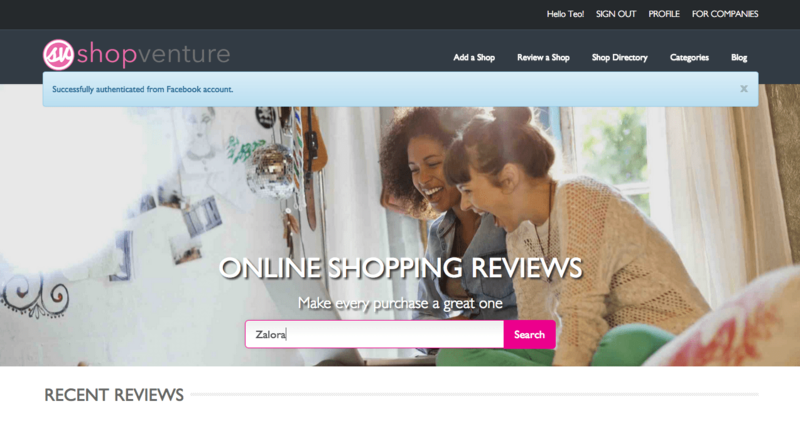 I searched for “Zalora” on the homepage of ShopVenture. 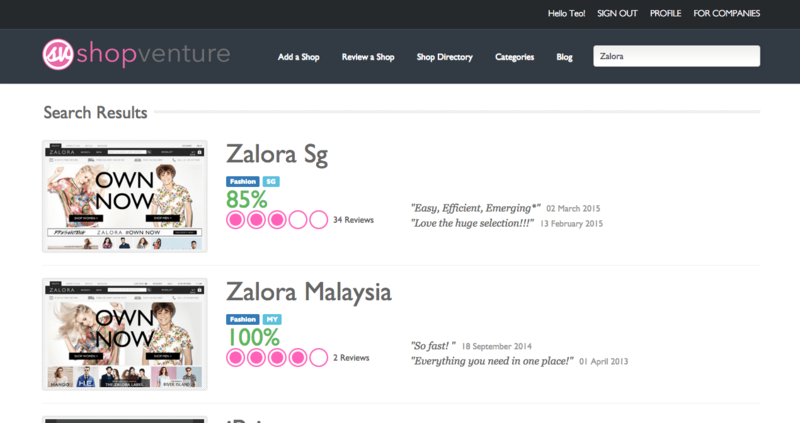 And “Zalora SG” and “Zalora Malaysia” popped up. 4/5 ratings for “Fit / Quality of Products”, “Delivery on Time” and 3/5 ratings for “Customer Service” and affordable pricing at 2 $$. 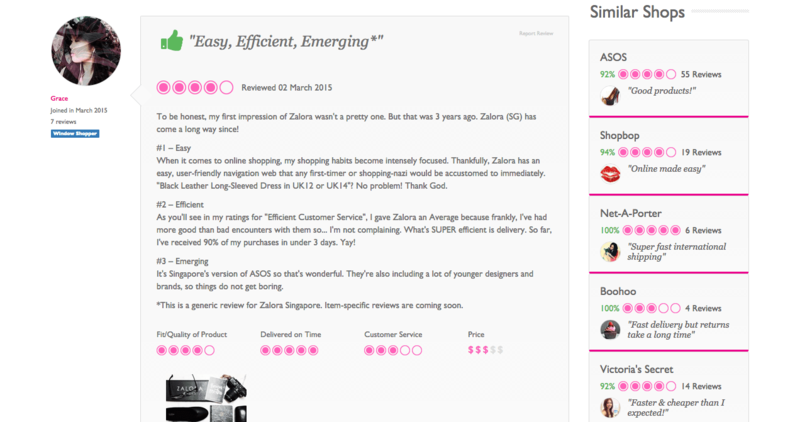 Additionally, some users also give more insights to their experience in their reviews. And on the right side bar, there are similar shopping sites to explore! 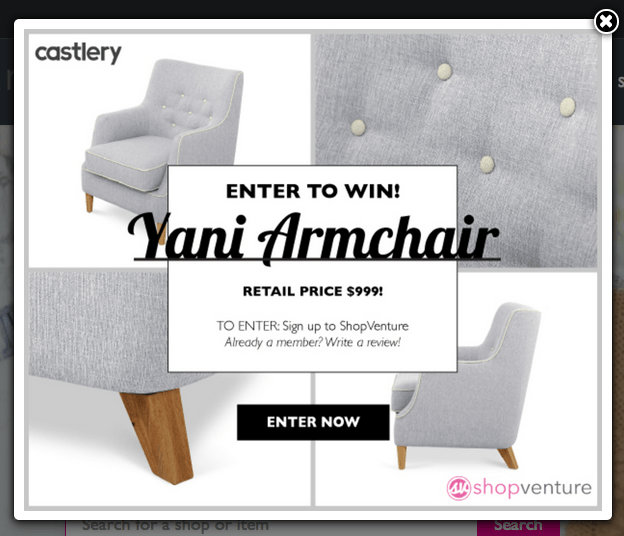 Facebook: Sign up to ShopVenture.com, double-your-chances to win by liking and sharing the post.